Held this year at Central Criminal Court (Old Bailey) in the City of London, the Annual Chartered Security Professional (CSyP) Presentation Dinner not only celebrated another successful year of admissions but paid tribute to the outgoing Chairman of its management committee, Lord Alex Carlile CBE QC. 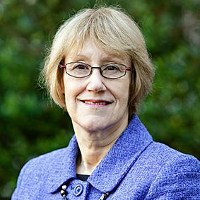 After an eight-year term as Chairman of the Chartered Security Professionals Registration Authority (CSPRA), Lord Alex has stepped down from his role and passed the torch on to Security Institute President, Baroness Ruth Henig CBE CSyI. CSPRA is the committee which was established to oversee the management and maintenance of standards for the Register of Chartered Security Professionals (RCSP). Presentations were made to Lord Alex after the dinner, and many tributes paid to him for his support and wise guidance during his tenure.